I've known this one guy online for quite a while, a couple years, probably. All this time there has been tentative talk about getting together a bunch of cool stuff he could sell to me, and then earlier this year he actually had everything together! So I paid for it. The entire cost of everything was $250. I've been asking him since then when he'd be able to ship it and every time it's been "oh I'll do it soon." At first it was he didn't know how to package it since it had some fragile stuff in there. I gave him advice on how to deal with that and I guess its packaged now?? But then its just like "oh I need to run it by the UPS store" and now....that hasn't happened. It's been months and all I keep getting is "I'll do it soon sorry." The last time he responded to a message was august 2nd. Needless to say I know I'm well past my time of paypal period... I debated opening a case at the time of the 45 day limit but I told myself "oh it'll be fine this guy is cool I've known him" and now I regret it. I just don't want to get aggressive about it since I know he has other stuff too (he has a full time job and a family) but on the other hand??? I don't know. Is there anything I can do or should I just pretend like I never had that $250 to begin with since I'll not be getting it back (or the items...)? So Niksilp texted me earlier saying that someone had found Viperine at Fry's Electronics. There is one on my way home from work, so I decided to stop by. They had two left! I got both of them... one for me and the other one for Niksilp (because she is awesome). I can take pictures of her diary or something if someone wants to see. JUST LET ME KNOW. Now I have all the new stars FCA girls. *_* yay! Trader Support / eBay eCheck only??? Has anyone had this issue? I am unable to use any credit cards on Ebay. D: I googled the issue and apparently its a new "policy" of eBay. My credit cards are fine, and they're still listed in my paypal account. Whenever I'm in the check out screen the only options is "eCheck" and paypal's "bill me later" which I don't want to use. Why did they take out the credit card option?? And is there any work around to this? I messaged the sellers and asked them to invoice me with paypal instead of eBay because I only have the eCheck option to pay but I'm worried they're going to think I'm trying to scam them or something. Why would eBay do this?? Monster Discussion / Hair help/tips ? So. 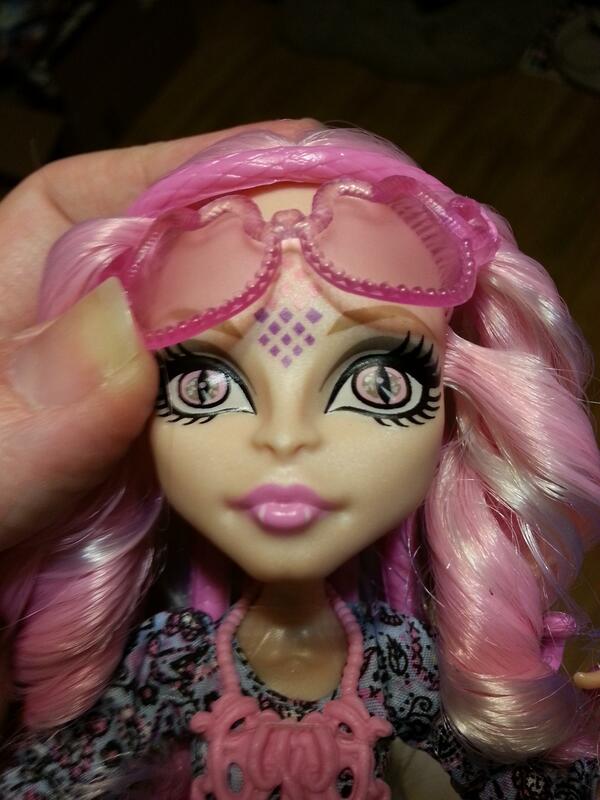 I am not only new(ish) to this Monster High thing, but also to all dolls in general. I've really never owned any until now. Some of the dolls have ridiculously poofy hair. Poofy in a bad way. Catty Noir, Twyla and GNO Lagoona all have this same, clumpy, poofy gross hair. I tried washing Catty and Twyla, Catty's hair tamed down a bit but Twyla's is still super poofy (but it's easier to brush) is there something I can do to make it less poofy? I don't like how it feels or looks and its bugging me I can't fix it. 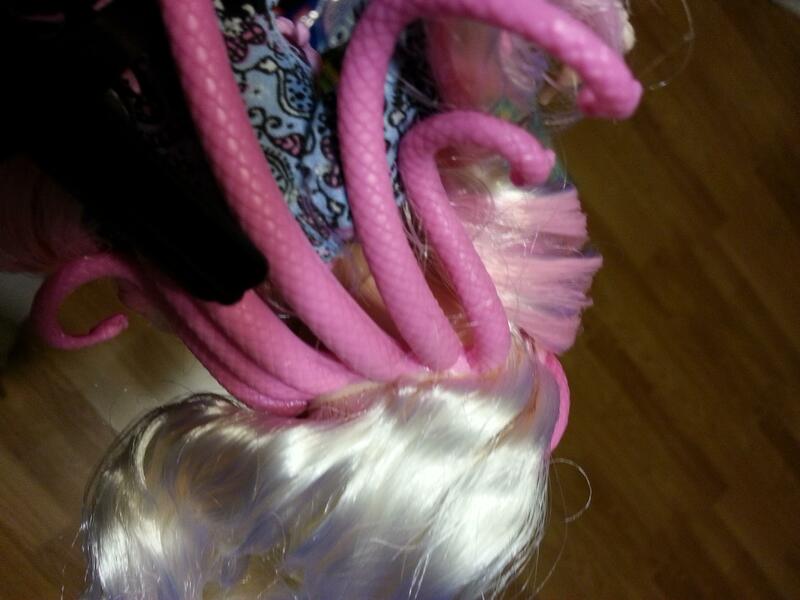 I was hesitant to use heat on them because I don't know if their hair can melt, with it being synthetic and all. Also not specifically Monster High, but I just deboxed my Apple White doll and her fluffy curls are all flat and gross on the back. I'm hesitant to brush her hair in case it just turns it into a poofy gross mess like the ones above. Is there anyway I can fluff her hair out, or even reset her slight curls so she isnt all flat and boxy? I want to just add the brush I use on my dolls is a metal comb, it seems to work the best and I already know those plastic things they come package with are garbage. Image is kind of large! As I understand, he does not come with a body? I'd like to be able to have a full body for him... so I suppose this also makes me interested in the other CAM boy bodies. Doesn't need to be NIB or anything! Or even have his clothing! Would prefer to buy PUMA + body pieces from the same person due to shipping but I will gladly hear offers from others too if this seems rare... c: thanks. My buddy got me the Puma set... but he still needs a body. So if anyone has any of the other male CAM characters I'm interested. Site Support / New member acceptance ? I wasn't sure who to ask about this, so I hope posting a thread here is alright. I have a friend who recently tried to sign up here too, but no one has activated her account. How long does it usually take? There have been a couple of new members posting since she sent in her registration. The name she made the account under is "niksilp" if that helps. So I was de-boxing my home ick set I found earlier today, and I was just trying to pose Abbey, when I noticed one of her hands wouldn't move. At all. Upon closer inspection I realized they'd "painted over" the joint in one of her wrists. 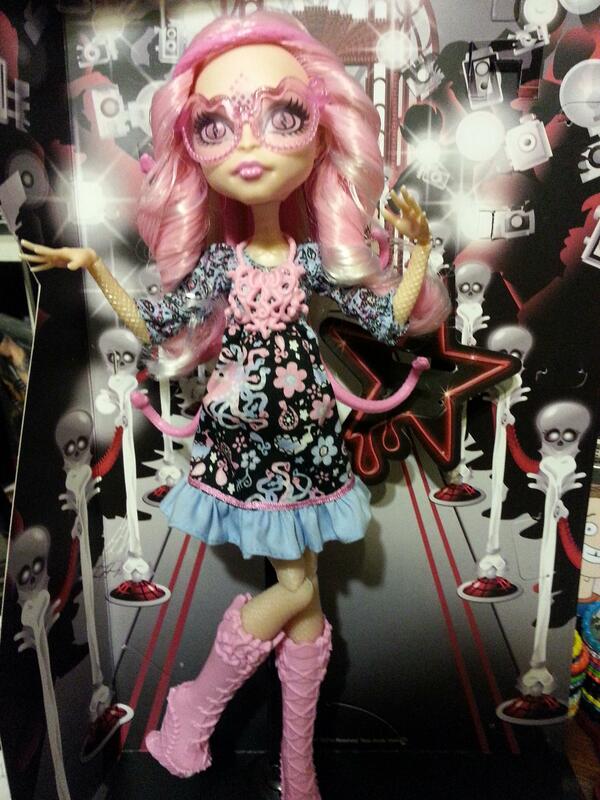 Draculaura's Darkroom / Show me Clawdeen Wolf! As you might (or might not) know I am new to collecting the monster high. Introductions! / Newbie saying hi! How long do releases usually stick around? Like I said, I am brand new to this so I wonder how long I can still expect to find these girls in stores when they're released. I hate to miss out on things I've seen before and have to buy online for a lot of money. ; I've seen Skelita a few times... and I've resisted so far! Originally I stopped to look at some of the dolls in the store since one of my friends had one that I thought was super pretty, and then I noticed Deuce Gorgon on the back of the Scaris box set... he kind of reminds me of a trendy green-haired character I made up so I felt like I wanted him just because of that. and then today I picked up Catrine, which will hopefully be my last one for a while! She is so pretty!! I'm wondering why the other two I have didn't come with stands though? Is that normal? Is there anywhere I can get stands for the other two I have? Ahhh sorry this is long...! I get rambly when I'm excited about something. Lol.